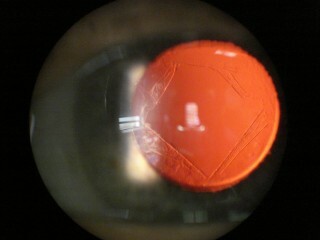 A person’s own natural lens is encased in a transparent bag of tissue called the lens capsule. When a cloudy, cataractous lens is replaced by an intraocular lens (IOL) as part of modern cataract surgery, the new lens is carefully placed inside the lens capsule. Sometimes the lens capsule then becomes cloudy, most commonly after 1-3 years, but sometimes more quickly. The condition is called posterior capsular opacification (PCO) and results in reduction in the clarity of vision. PCO is treated quickly and safely by YAG laser capsulotomy. You may eat and drink normally before laser treatment. You will need someone to come with you, as you will have blurred vision from the drops and the dilation and someone will have to drive you home. You will have a short consultation during which a slit-lamp examination of the eye will be carried out, to confirm the diagnosis and exclude other eye problems. Your visual acuity and intraocular pressures will be checked. Dilation drops will be instilled to make your pupils larger. The drops will take 10-20 minutes to work. You will be then taken into the Laser room. Topical drops will be instilled to provide local anaesthesia. No injections or needles are used. Your Ophthalmologist will use the YAG Laser to create an opening in the centre of the cloudy capsule. The opening allows clear passage of light rays and eliminates the cloudiness that was interfering with your vision. During the treatment it is important that you sit very still so that the procedure is carried out quickly and accurately. The treatment usually takes about 5 minutes and is painless. The results are almost immediate; however your vision will probably be a little blurry from the drops and the dilation. 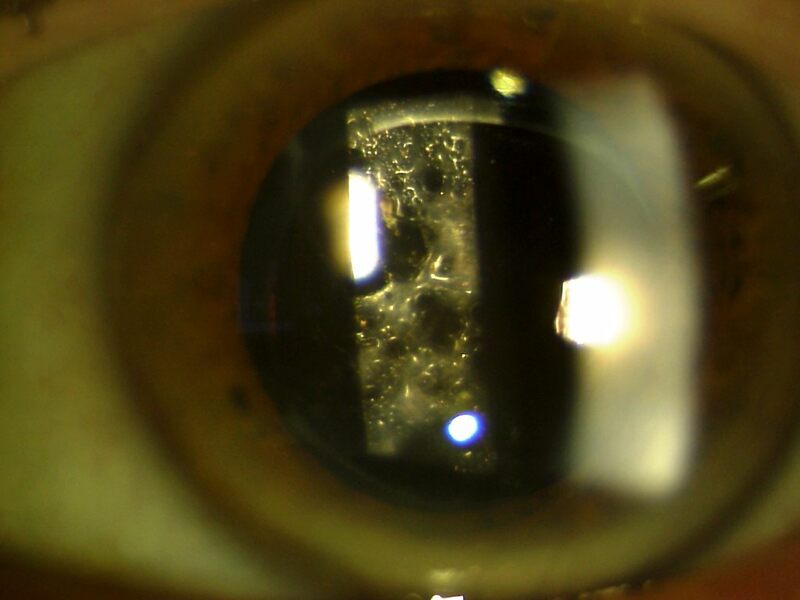 Serious complications with YAG laser capsulotomy are extremely rare. It is a safe and effective procedure, but like any medical procedure, it does have some risks. The most common side-effect is the formation of ‘floaters’, small specks in the vision from pieces of lens capsule or the gel of the eye moving within the eye. These tend to disperse with time (a few weeks). A short-lived rise in the pressure within the eye may occur, causing blurred vision and pain. If this occurs, then you may be given drops to reduce the pressure. There is also a risk of retinal detachment and persistent swelling of the macula, both of which are very rare. You should seek help from your ophthalmologist if you develop pain or loss of vision after YAG laser capsulotomy.